Behind every great seafood restaurant is a warehouse stocked with fresh fish. Like salmon swimming against the prevailing current, The Fishery has paved it’s own path. Located off the beaten track – three blocks east of the Pacific Ocean – the large brick & mortar family owned seafood company thrives in a quiet neighborhood. The strength of the company is due to the collaborative work of many talented, committed and hard working people. Judd inspires all three components to support healthy and sustainable wild-caught seafood and to treat our fish with respect and expertise. Mary Anne’s passion for design, farm fresh produce and simple clean flavors remain a defining factor in the evolution of The Fishery. 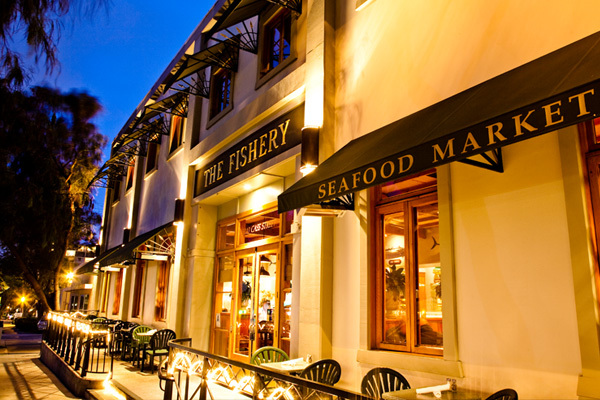 For the past five years, under the leadership of Chef Paul Arias, The Fishery is at it’s best. Chef Paul embraces food and community with a deft and creative passion for people and for his craft. Chef Paul Arias joined The Fishery in 2008. From the beginning Chef Paul’s commitment and understanding of The Fishery combined with his über creativity is why loyal guests – our “regulars” – keep coming back again and again. Chef Paul’s menus are market driven and change with the seasons. By using fish straight out of the sea, ingredients at their peak of freshness, Chef Paul’s kitchen consistently demonstrates that the best tasting food is exactly in season. 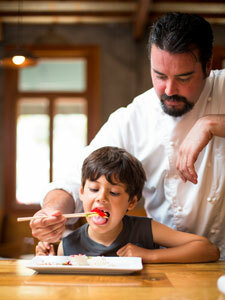 Chef Paul Arias has a lifelong abiding passion for delicious food. Originally from Westchester California, Paul graduated from the Los Angeles Culinary Academy. He has worked and studied in France as well as on both coasts of the United States. He was co-founding chef of Papa’s Café, a French inspired brasserie in Torrance California and Chef de Partie and Saute at Water Grill in downtown Los Angeles under award winning Chef Michael Cimarust. While working at Royale Brasserie in downtown San Diego Chef Paul had the golden opportunity to be part of the new ‘market to table’ restaurant, A.R. Valentien at the Lodge at Torrey Pines. Alongside his mentor Executive Chef Jeff Jackson he opened the restaurant and the Grill at the Lodge. After several years at The Lodge, Chef Paul moved to New Hampshire where he opened Pesce Blue, a Mediterranean inspired seafood restaurant and Patio, a seafood restaurant in New England. At the helm of The Fishery, Chef Paul has found a treasure trove of seafood at his fingertips. 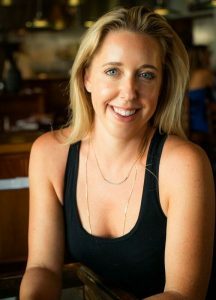 Co-owner Mary Anne Brown states: “solid in culinary technique, grounded in the ‘market-driven philosophy’ inspired by Executive Chef Jeff Jackson, Chef Paul also brings imagination, intuition and an adventurous sense of humor to the table…notwithstanding an academic passion for sustainable seafood”. By using ingredients at their peak of seasonality and freshness, Chef Paul demonstrates that the best tasting food is exactly in season. Joining the family business as General Manager is daughter Annemarie Brown. While at the University of Oregon, Annemarie worked for Eugene’s most recognized restaurant Marché where she explored French food and wine. Her knowledge and appreciation for the wines of the world and seafood has aided in her approach to constructing and maintaining The Fishery wine list. Armed with a BS in political science, Annemarie returned to San Diego and The Fishery. After training in various aspects of the company she has settled into her role as manager and wine buyer of the company she grew up in. With decade of hospitality experience Nick has grown within The Fishery from busser to the General Manager position he now holds. He has a true love for hospitality and the restaurant. Over the years Nick has found that Fishery core values of local and ethically sourced ingredients suits him just fine! He is happy to be carrying out The Fishery vision in the comfort of our neighborhood. 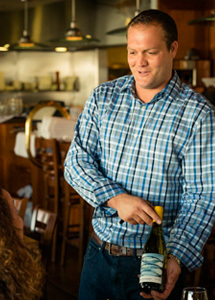 His passion for wine began here, and he has since gone on to earn his entry level sommelier certification with plans to pursue the next level in the near future. Working alongside Annemarie they have created an innovative and unique wine list that perfectly complements Chef Paul’s cuisine.